Women, who have previously served on the front line in support roles, will now be allowed to enter the cavalry, infantry and armoured corps. Mr Cameron said it was a “major step” and meant the armed forces could “make the most of all its talent”. But the Army’s research suggests fewer than 5% of its 7,000 women would pass the current infantry fitness test. The PM’s decision follows a government review in which the head of the Army, General Sir Nick Carter, recommended the ban should be lifted. Announcing the move at a Nato summit in Warsaw, Poland, Mr Cameron said: "It is vital that our armed forces are world-class and reflect the society we live in. 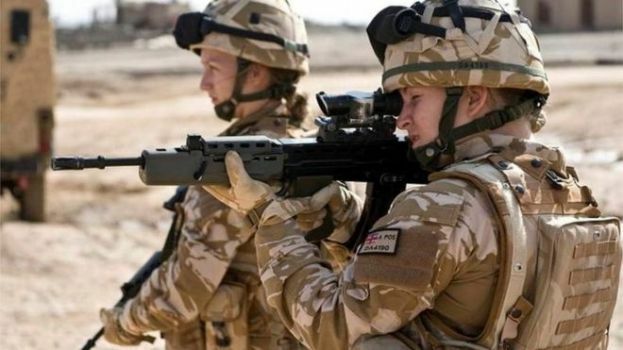 The opening of roles for women in close combat are expected to be phased, initially with positions in cavalry and armoured units and then to the infantry.